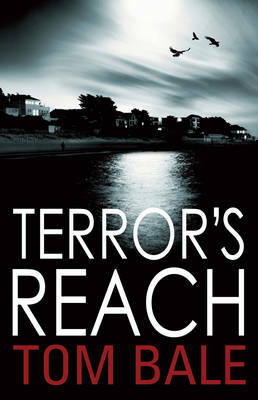 TERROR'S REACH is the second book under the Tom Bale name from David Harrison which yet again is set in his native Sussex. The Terror's Reach of the title being an exclusive island in Chichester Harbour which was so-named because it represented the limit in the shallow waters that the Terror - a Victorian working ship transporting oysters from larger boats - could reach. In TERROR'S REACH, we are introduced to Joe Clayton, an ex-undercover policemen who works for Russian business tycoon Valentin Nasenko protecting his wife Cassie and children, Jaden and Sofia. Whilst on a walk to the beach, Joe notices a stranger - something not normal on the Reach. Joe is instructed to take Cassie and the children away as Nasenko is holding secret business meetings. On their way off the island, Joe is sure that something is wrong but wants to get Cassie and the children away. After being followed in Chichester, Joe hides Cassie in a boarding house and returns to the island to find out what is happening. On his arrival, Joe finds the bridge over to the island closed, and guarded by the man he saw earlier, which confirms to him that something is happening on the island. He makes his way onto the island after a difficult swim and finds that an group is holding the island's residents hostage, so Joe sets out finding out what is happening and what he can do to release them. When Joe tries to get help, he finds that the landlines don't work and there is no mobile signal. Joe knows he will need all of the skills he acquired as an undercover policeman to get the hostages released. As time goes on, Joe realises that there are other plots going on. When Joe realises who is behind the raid on the island and that they will stop at nothing to get what they want, it is more important he succeeds, after all nobody else will be coming to their rescue. Tom Bale has produced a great second book with a pace that matched his previous book SKIN AND BONES. His main character Joe Clayton is a determined ex-policeman pitted against a gang presenting overwhelming odds, and the other characters are also well portrayed. The plot has many twists and turns and the book holds your interest right up the last page. Read another review of TERROR'S REACH. Details of the author's other books with links to reviews can be found on the Books page. More European crime fiction reviews can be found on the Reviews page.